SKU: ZM50181. Categories: Health & Fitness, Fitness. Tags: bodyweight exercise, bodyweight suspension training, bodyweight training, sling training. Sling Training is the ultimate guide to bodyweight suspension training. It’s an all new form of movement. You can try workouts that are suited for you – whatever your shape, height, weight or age. Sling training is a balanced full body workout that delivers quicker results than regular machine training. This is functional fitness at its best: agility, strength, and balance. Every exercise connects to your core muscles. There are chapters specific to the various body parts such as the upper body, lower body, and the core. There is even a chapter on extreme sling training. You will work muscles you never knew you had before! The photos in this book clearly demonstrate perfect posture for sling training in addition to the proper stance to perform each exercise. There are easy exercises and harder exercises. 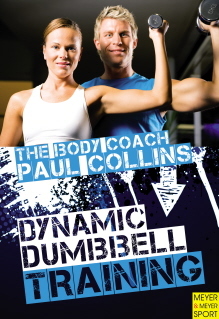 Whether you are a beginner in the world of exercise or someone who has been at it for a long time, this book will offer the advice that you could add to your routine. 100 exercises range from easy to extreme, and individual chapters take you from targeting simple muscles to full-body movements. “It makes you less ‘Arnold’ and more ‘Bruce Lee. '” says pro snowboarder, Fredrik Austbo. Sling Training features 15 sport-specific programs by world-class athletes, coaches, and physical therapists. There is a chapter that includes sling training exercises for specific sports such as swimming, climbing, volleyball, kayaking, or taekwondo – to name a few. Whether you do golf, soccer, or snowboarding, you will improve your game by adding suspension training to your workouts. Two physical therapists have spent three years perfecting this book. Lennart Krohn-Hansen works as an international sling training course instructor. Previously, he developed the educational program for an international sling training company. Anders Berget has worked with sling training through gyms, rehab centers and teaching personal trainers.